I'm just popping in with a reminder that there is still time to play along with the current challenge at Your Next Stamp. I colored up this cutie from the Fairytale Homes set, and created a little field of flowers around her. Her dress was very carefully paper-pieced (using Happy Spring 6x6 Paper) so that one of the flowers was placed perfectly on the bodice of her dress. Pretty cute, right?!? The sentiment is from the Cool Tag Banner Sentiments set. Isn't she cute strolling among the flowers? The challenge is open until April 18th at midnight EST, so plenty of time for you to play along! It's my turn to share some April Release inspiration over on the YNS Blog! I decided to color up some of the cute critters from the new Photo Booth Thumbs Up set... all of the Photo Booth sets are so much fun and the Photo Booth Polaroid Die is a must have! I paired the dog and cat buddies with some paper from the Doodlebug Puppy Love 6x6 Pad. I've also used the new Stitched Fishtail Banner Dies, and (of course!) my favorite Stitched Rectangle Dies! I finished it off with a couple of Gumdrops from the Neon Sunrise and Love Earth sets. This lovely layout is courtesy of the current Atlantic Hearts Sketch Challenge! That's all I have for today... thanks for visiting!! This month's release is full of so many fun goodies... I think you're going to love it!! I have a sweet card to share using the new Wishing Well Fairy. I think her little flower hat is the cutest!! I played around with my craft paints and created a splatter background on the kraft cardstock, and then I used the Puffy Cloud Border Die as a stencil to create the fluffy pink clouds. I also used my favorite dies... the Stitched Rectangles... to cut the layers. The fairy and stars are popped up on foam tape, and I added a bit of stardust stickles to the images. 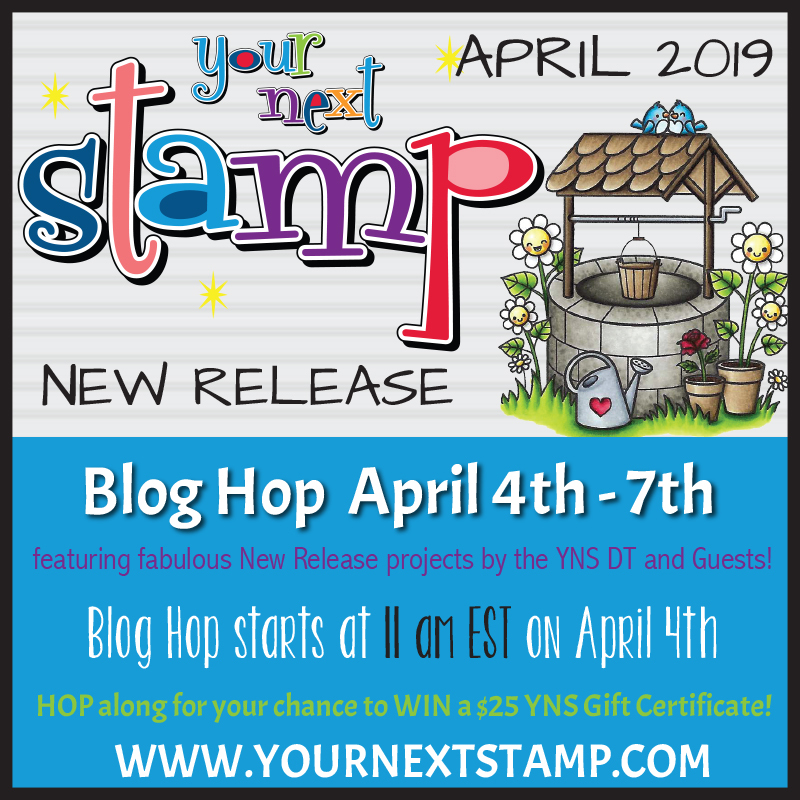 Be sure to leave comments along the Blop Hop so you'll be entered to win this month's amazing Blog Prize... a $25 YNS Gift Certificate!! And of course there's a great deal for you in the store with this month's Blog Hop Special... 20% OFF your entire purchase!! Enjoy the Hop, and don't forget to comment before you move on! It's time for a sneak peek of the April New Release at Your Next Stamp! I've used a couple of new sets on my card today... the sentiment is from Whatnot Sentiments #13 and is definitely a must-have! I love how the phrases are separate so you can piece together the perfect sentiment! And those itty bitty dragonflies... they are some of the cute little extra images you get with the new Wishing Well Fairy set. SO FUN!! I sponged some Tumbled Glass Distress Ink for the background color, and embossed the parts of the sentiment on the black cardstock. The little buggies are colored with Copics, and popped up around the sentiment. Head on over to the YNS Blog to enjoy the rest of the sneak peeks from the team! I'll see you back here at 11am EST on Thursday for the big Hop! 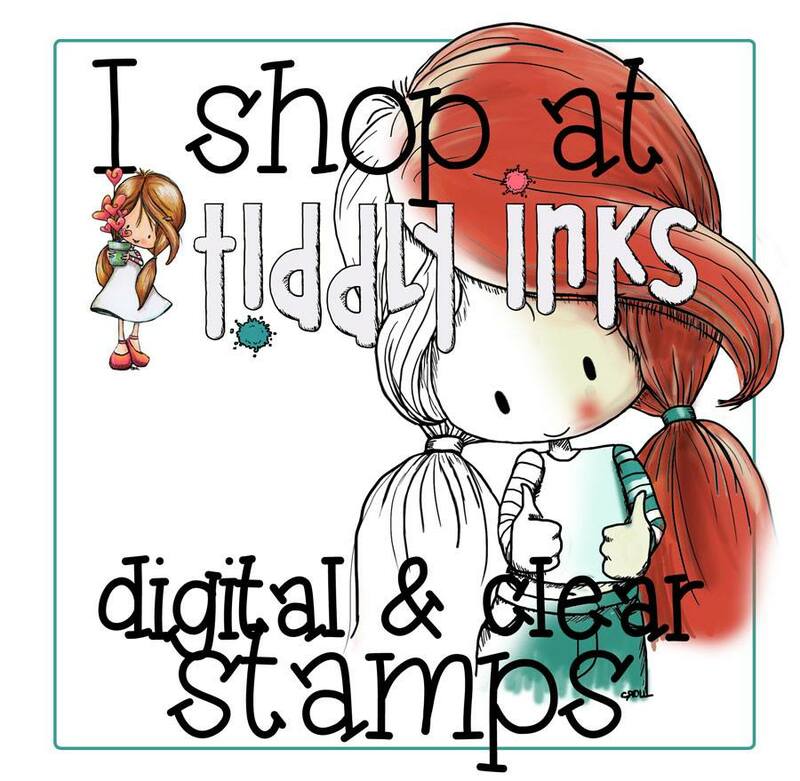 Another new challenge starts at Your Next Stamp today! We are looking for anything with PASTELS! I went with a soft shade of pink for my card using paper from the Sweet Baby 6x6 Pad, paired with a cute lamb from the So Ewe-nique Stamp Set. This little lamb is actually juggling Easter Eggs, but I just fussy cut those out, and put little hearts in their place, cut from the Heart Border Die. It's a great example of how versatile this set is!! I sponged some Spun Sugar Distress Ink behind the image, and combined a couple of sentiments from the set, along with the Fancy Sweet Die. I even added some detail to the inside of the card this time... something I always neglect! This sentiment is also from the So Ewe-nique set, with a few more hearts underneath, and still plenty of room to write a message! Now it's your turn to play along!! You have until April 4th at midnight EST to link up your pastel creation for a chance to win a YNS Gift Card!